It is possible to choose where you would like your parting with the vixen style. This client chose a side parting, although she will no longer to wear a middle parting. A shorter length and leave out makes the hair look more realistic. 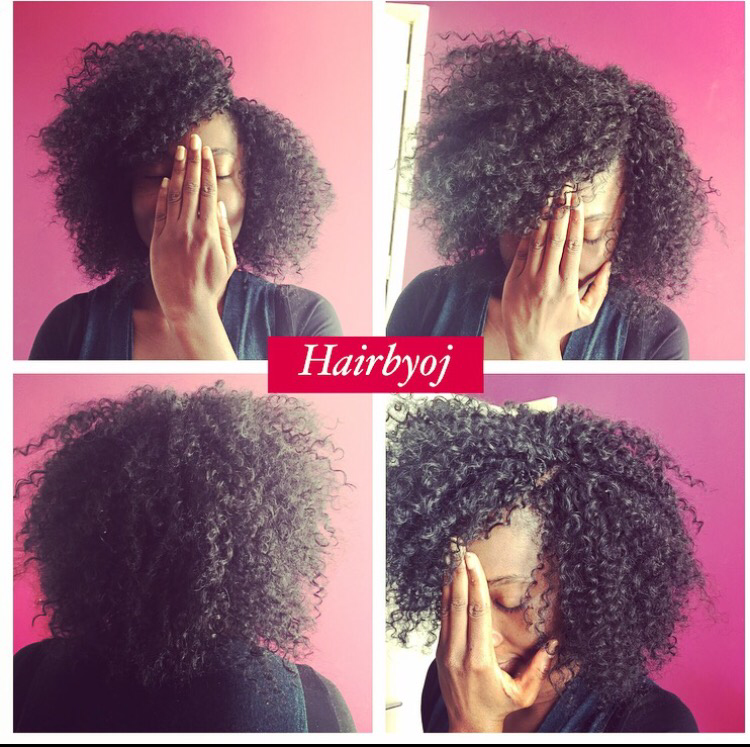 Blowdried Marley hair is the perfect solution for those with relaxed hair, or those who don’t like the full afro look Marley hair usually creates. 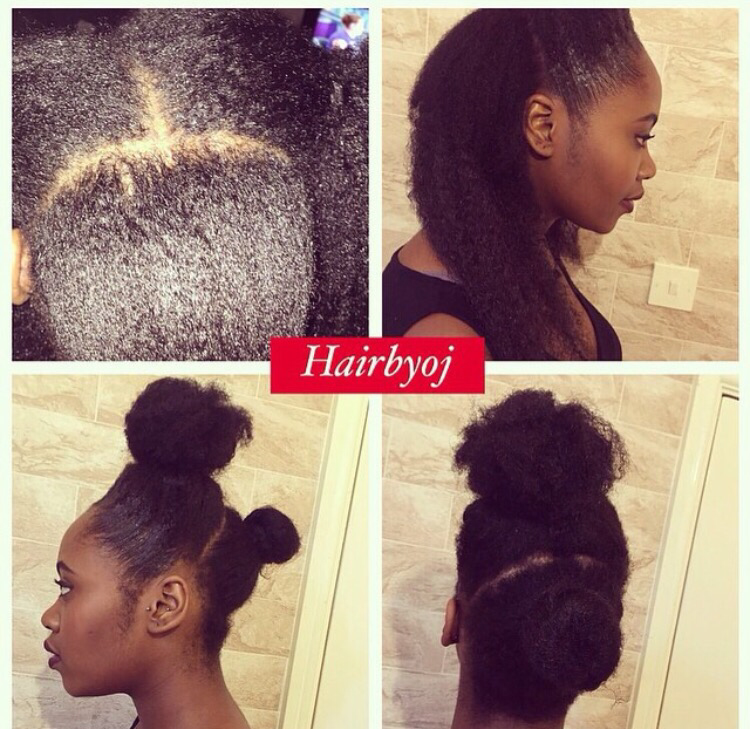 The vixen method increases styling versatility and makes the hair look more natural. 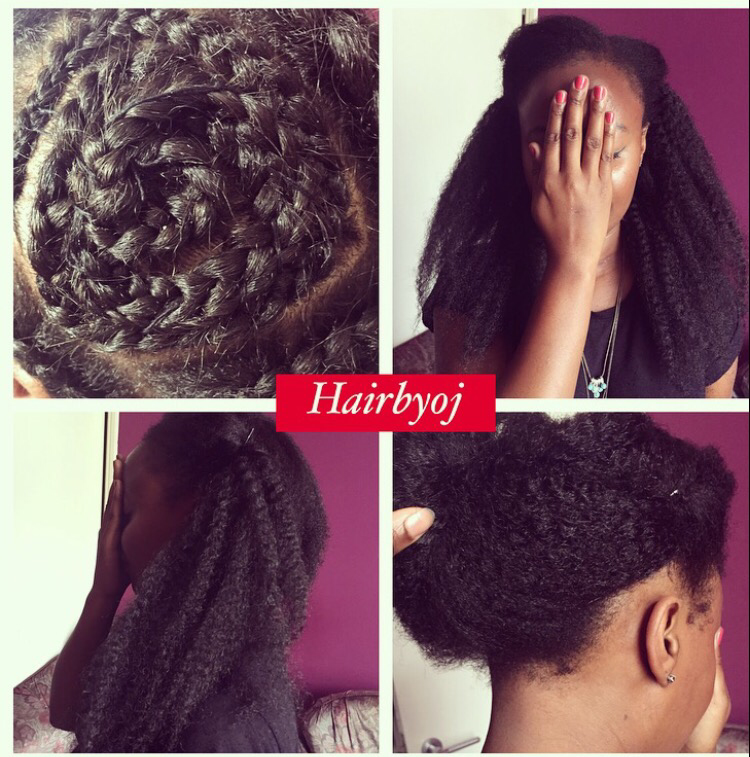 If you know you won’t be doing much styling at the back of your hair, or you want to leave minimal leave out for your vixen crochet braids, then the 3 way part is perfect for you as you’re required to only leave out the middle, perimeter and the parting of your hair. To prevent any bumps, do the cornrows as flat as possible. This is the first time I’ve blow dried Marley hair and the client and I were both very pleased with the results. 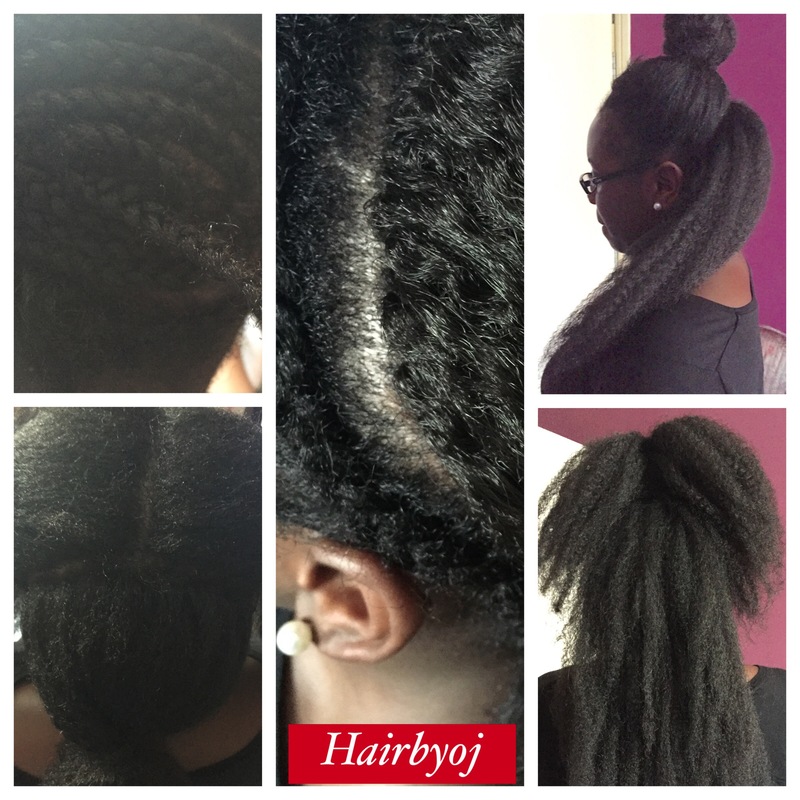 The client had straightened her natural hair so wanted the Marley hair to blend with it. I blowdried the hair on a high heat but avoided putting the blow dryer too close to the hair so it didn’t melt( because it is synthetic). 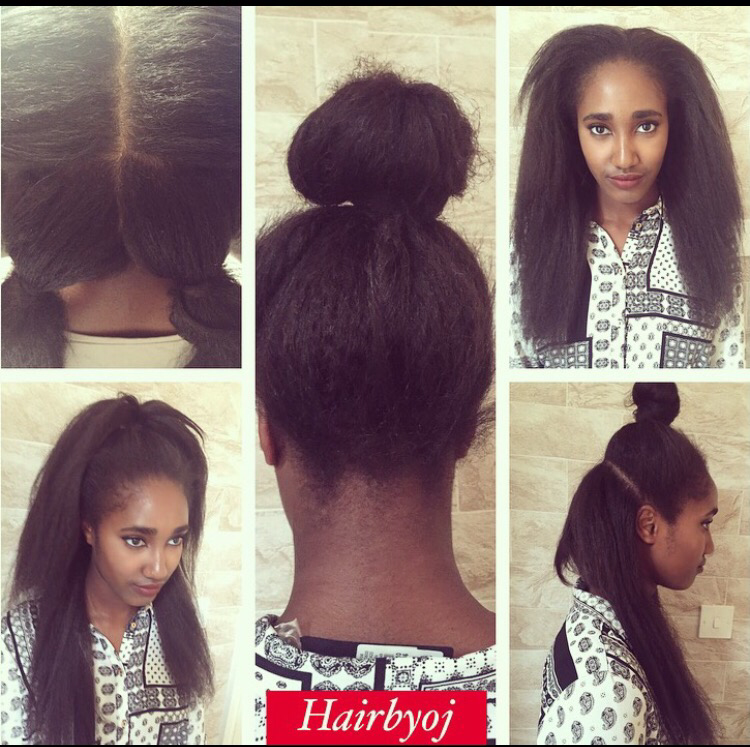 This method enables a blowdried natural hair appearance suitable for those with relaxed, texlaxed or straightened hair. Shown client wanted her hair to look very natural, so I did a reasonable length with not much volume. 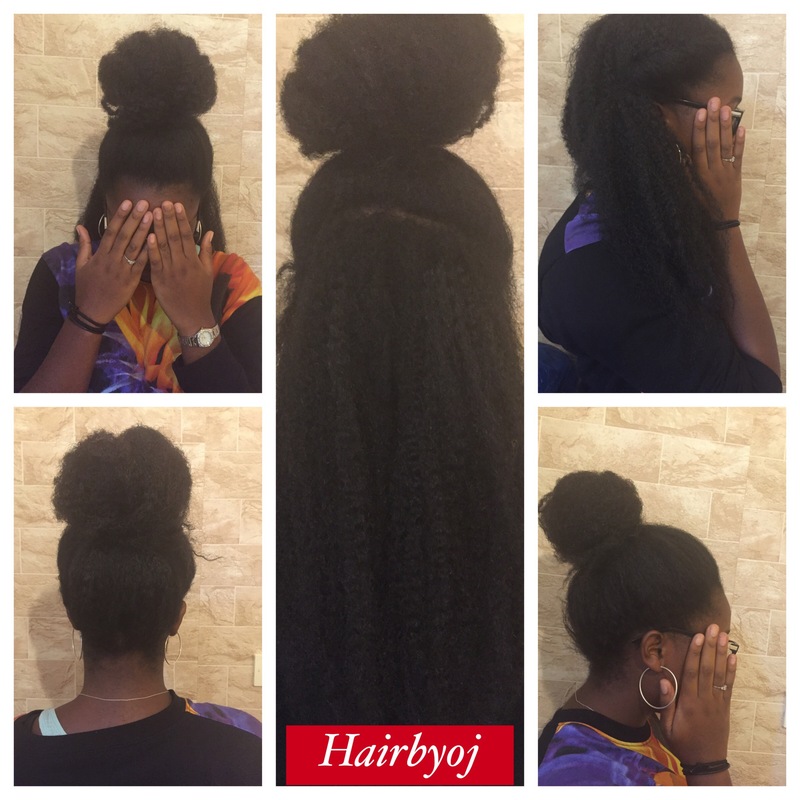 Although I did invisible knots, the leave out enhances the natural look and the knotless method decreases the chance of bumpiness as opposed to installing the opposite method. Although these type of curls have the tendency to produce volume very quickly, the client wanted a more tame look, to achieve this, I did smaller cornrows so I could add less hair preventing the scalp from being exposed. The invisible side parting creates a more natural look. 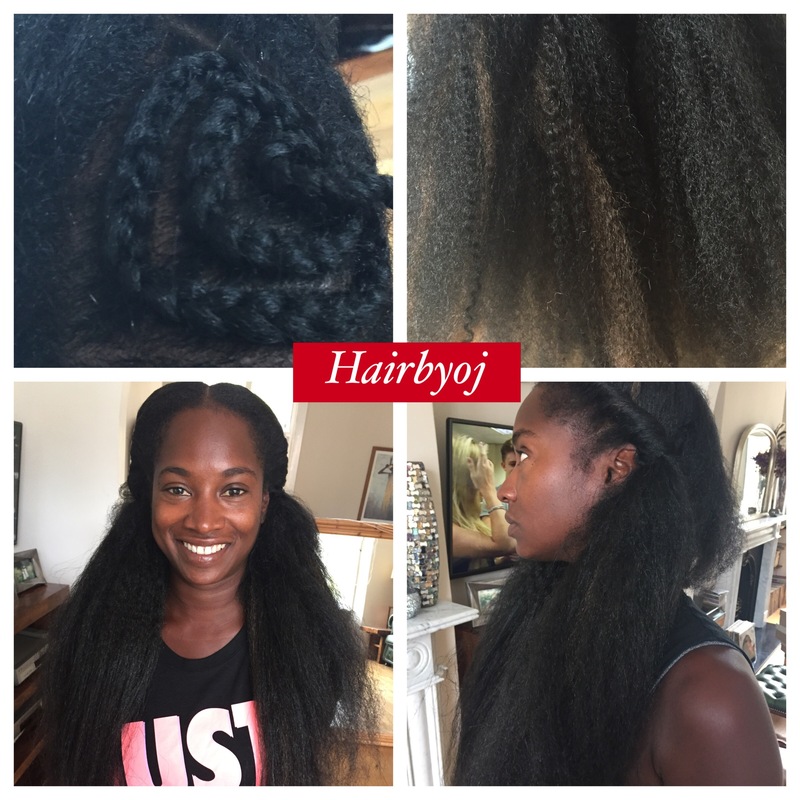 I have done several posts showing the vixen crochet braids so this post is more or less to show the different style that can be achieved. Some of which include buns, half up half down or pinning some of the hair back. Ensure you are brushing the hair from top to bottom at least every other day to prevent matting and knots.